Warning: this isn’t my usual review of underthings-type blog post. No, Dear Reader, it’s on a serious topic. It’s about how a big bank and a State agency are presently failing some of society’s more vulnerable souls. Disclaimer: I don’t directly have a horse in this particular race, so to speak. Bank of America (BofA) – as the name suggests, a large national bank in the US. I have no idea if they’re the largest or, indeed, quite how you define “largest” in this context: in any event, they’re big. State of California Economic Development Department (CA EDD) – again, as the name suggests, it’s a State Government agency of the US’ most populous state. Among its responsibilities, and the one I’ll be writing about here, is payment of benefits such as unemployment and disability. Now, some of you are no doubt thinking “OK, so what if I can’t transfer money to my “conventional” account? I can just use the card, right?”. Well, that’s true, up to a point. For one thing, some bills (e.g. 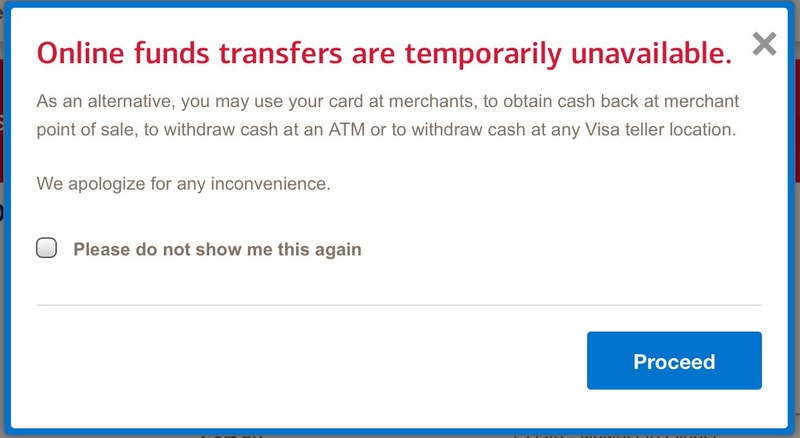 utilities like electricity) can’t be paid online with a card. They need an account number and routing number. The CA EDD debit card doesn’t have that – at least if it does, nobody’s sharing that info. Also, what if you pay by cheque? Some people may also be thinking “Well, it’s inconvenient, but you can just pull the money out at a bank or ATM and deposit it in your other account, right?”. Remember who this is for: the unemployed and the disabled. Some may not have access to a car, others may be physically unable to drive. Even if they can do that, it incurs the expense, which they can ill-afford, of going to two banks/ATMs. I mentioned earlier that CA EDD contracts with BofA for this service. I don’t know exactly what the financial arrangements are: I think I, as a taxpayer, should. BofA is, presumably, not doing this out of the goodness of their hearts, nor should they be expected to: they’re a business and as such, they have a profit motive. Also, I don’t have an issue with a State agency turning this over to a bank to run it: it makes a lot of sense to have debit cards issued and managed by an entity who, you know, issues and manages debit cards. However, that entity needs to be held accountable, and their customer is, ultimately, the taxpayer. I now have a local State Senator, Henry Stern, engaged on this. Let’s see what he can do. Update: this has now been fixed. Perhaps this illustrates the power of the social media?